The USD bears are still weakening this currency and on the other hand, EUR is gaining power. 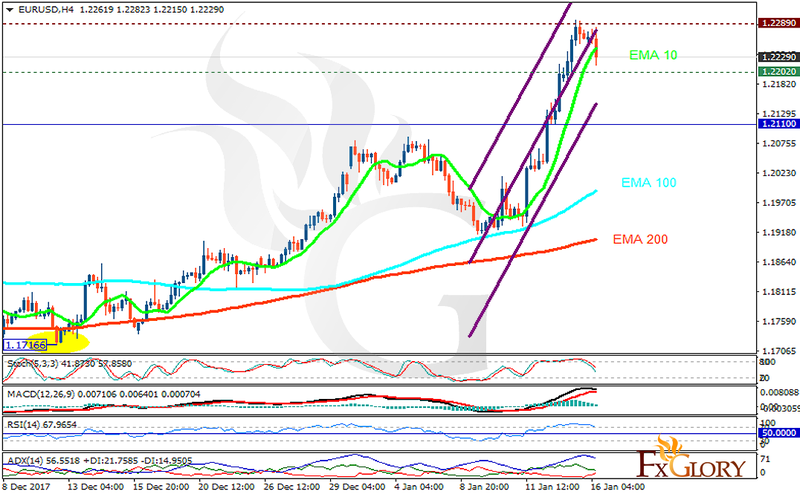 The support rests at 1.22020 with resistance at 1.22890 which both lines are above the weekly pivot point at 1.21100. The EMA of 10 is moving with bullish bias in the ascendant channel and it is above the EMA of 200 and the EMA of 100. The RSI is moving in overbought area, the Stochastic is showing downward momentum and the MACD line is on the signal line in the neutral territory. The ADX is showing weak buy signal. The support level breakthrough will push the price down towards 0.21 however, this would remain the floor of the market and EURUSD will continue its bullish trend towards 1.235.